We are continuing to make every effort ensure our visitors are both comfortable (and impressed!) by our villa. Master bathroom now completely refurbished | Fibre Optic broadband installed with our wifi | New Smart TVs | Coffee machine | Interior repainted and and many other improvements! "This villa surpassed all of our expectations! 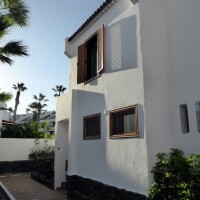 It is a real gem and we cannot wait to book again for our next holiday in Tenerife"
"Such a relaxing holiday from start to finish and the facilities in the villa made everything so easy. " To read more comments please visit our Reviews page. It is finished off to the highest standard and has everything you need. The owner was very helpful from the minute we booked and deserves credit for his customer service,cleaning staff were English and very friendly too. 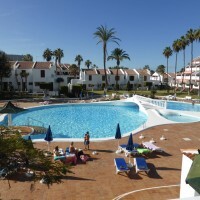 We were a family made up of 3 generations–5 adults plus a 3 year old and a small baby.The location was perfect –beside the sea and close to a number of lovely beaches with an excellent heated swimming pool area outside our door. Great restaurants and shops were all around us. 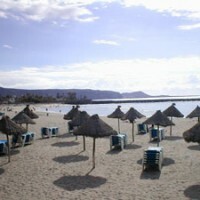 The location right on the promenade is ideal, so that everything (shops, beach etc) is very quick to reach. We can highly recommend this villa and would love to come back! Thanks a lot to Philip and Home Away for giving me a wonderful 50th birthday and vacation with my family and friends. Zeer mooi huis, alle comfort, prachtig en zeer groot terras, ideale ligging vlak bij de wandelpromenade, geen wagen nodig gezien alle winkels vlakbij liggen. Nous avons passé des vacances de rêve avec nos enfants . La villa se situe à côté de la digue et de la mer et est proche des commerces. Elle est bien équipée et dispose de plusieurs terrasses au calme. Just returned from a 10 night stay superb villa centrally located to all amenities. Would highly recommend and would definitely go there again. The villa is very spacious, modern, very clean with everything you need provided, a real home from home experience. Every bedroom has an ensuite, the views from the terraces of the sea and the complex are stunning. The location of the villa is what makes it so perfect, so close to the front and in walking distance of many great restaurants and shops, but very peaceful at night. Also liked the security presence on site. Everything you need, very clean and modern villa. Couldn’t ask for a better location. We will be back. 6 adults and 1 child stayed in may. Property has been finished to a high standard and situated in a perfect area. Hope to return again soon. Villa has everything you could ask for, very modern and very well equipped. 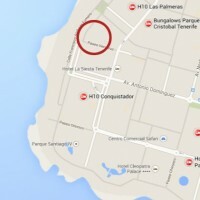 Location is perfect for the pool, shops and a short walk to to beach, ideal. This is a beautiful villa which is well equipped with furniture, white goods crockery and cutlery. Stayed as a family of 6 adults and 2 children and there was ample space for us all. A wonderful location close to everything. A superb villa everything you need and more. Relaxing and quiet only the waves to listen to, The owner could not be any better so helpful in every way. We had a great week’s holiday at this lovely villa which is well equipped and in an excellent location. Would definitely recommend. The accommodation was very spacious & had everything we needed for a relaxing & fun holiday. The location was perfect. Easy walking distance to beaches, bars, restaurants & shops, but still felt private & was very quiet at night. The villa was fantastic with lots of room for all the family. All of the rooms are very modern and spacious with four en-suit bedrooms, one with a bath and shower which was great for my little granddaughter who is only one. This property is first class… we were a family of 8 travelling (6 adults and 2 kids) and we had so much room in this property… Such a relaxing holiday from start to finish and the facilities in the villa made everything so easy. This is a complete package great place to stay no complaints, pool area clean and tidy and the grounds kept nice and a great central location. Just home from a 10 day stay at this superb villa. Nine family members enjoyed a fantastic holiday aided by the facility’s available at the villa. Centrally located close to all amenities including shops and restaurants and a ten minute walk away from the major nightlife if that’s what you’re looking for. Nice and quiet at night. Would highly recommend for a large family.